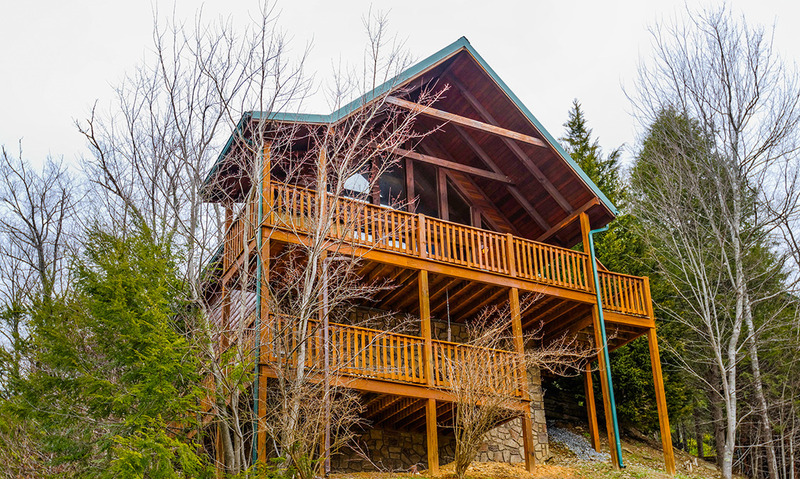 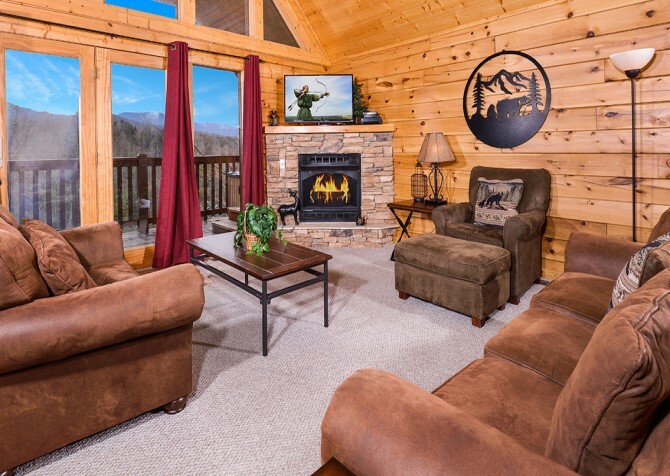 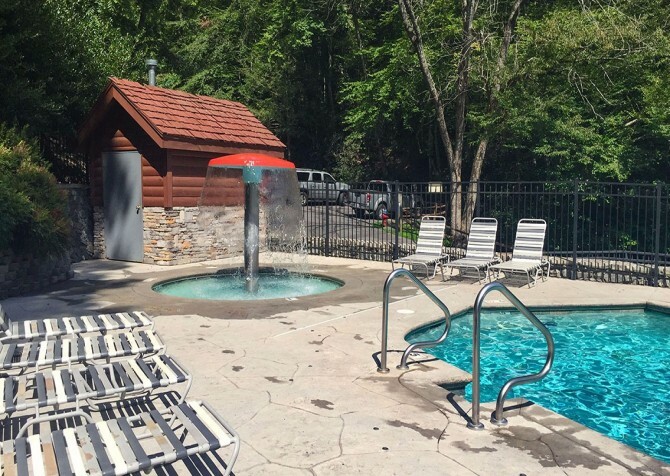 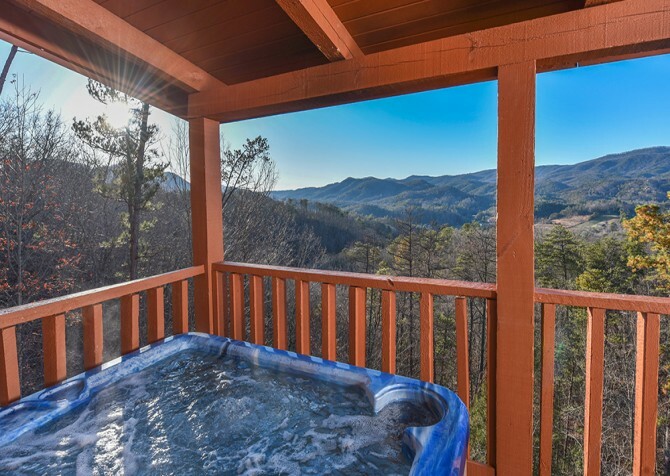 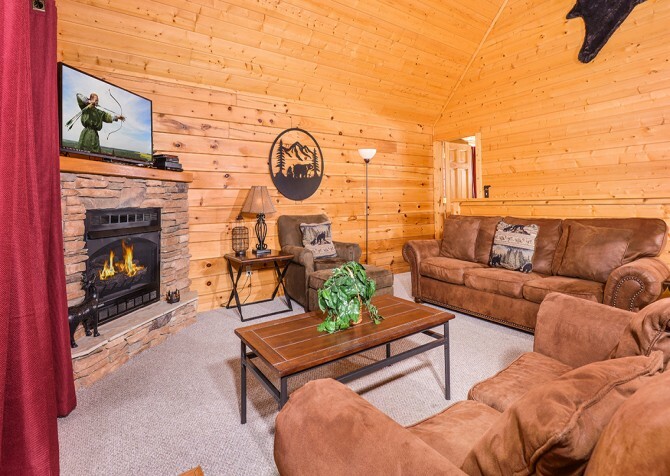 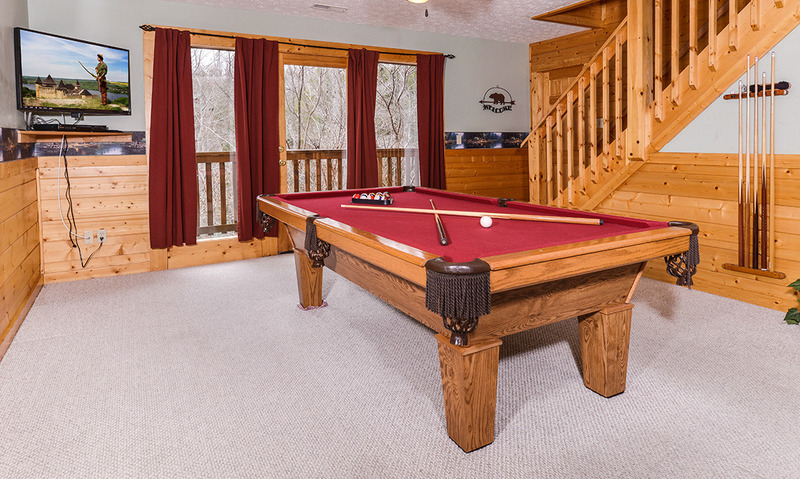 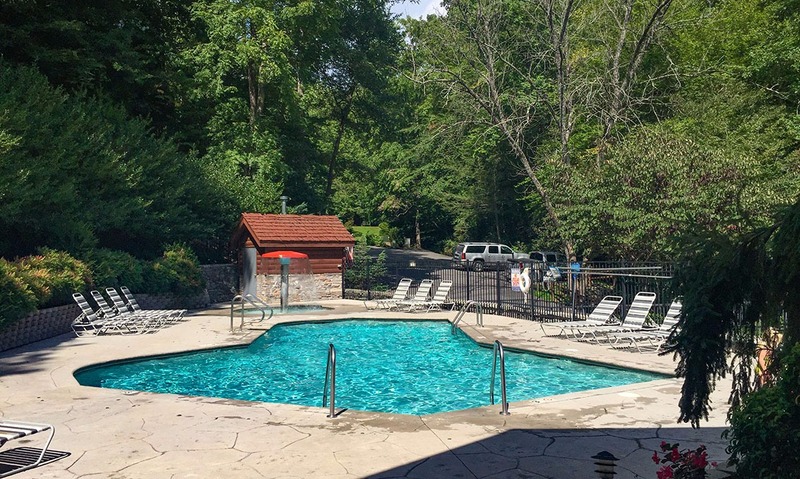 Located just five minutes from downtown Gatlinburg and ten minutes from downtown Pigeon Forge, Siesta Ridge is a luxurious two bedroom, two bathroom cabin in the Great Smoky Mountains. 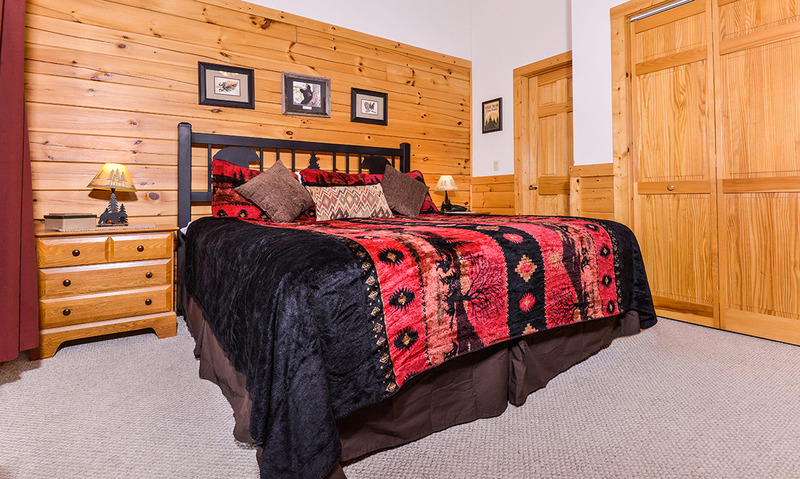 With room to sleep eight guests, there's enough space for a family, a group of friends, or several couples. Each of the bedrooms in Siesta Ridge is equipped with comfortable bedding, a cozy king size bed, a TV with smart TV apps such as Pandora, Facebook and Netflix (subscription not included), and bedside lamps for late night reading. 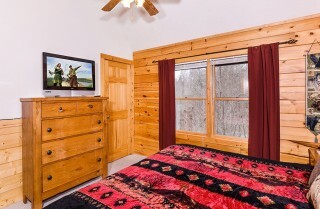 You will love curling up in bed on cold nights or sleeping in late on lazy days and catching up on your favorite shows. 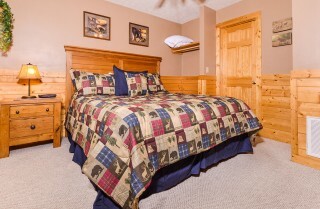 Each room is tastefully decorated and truly a home away from home. 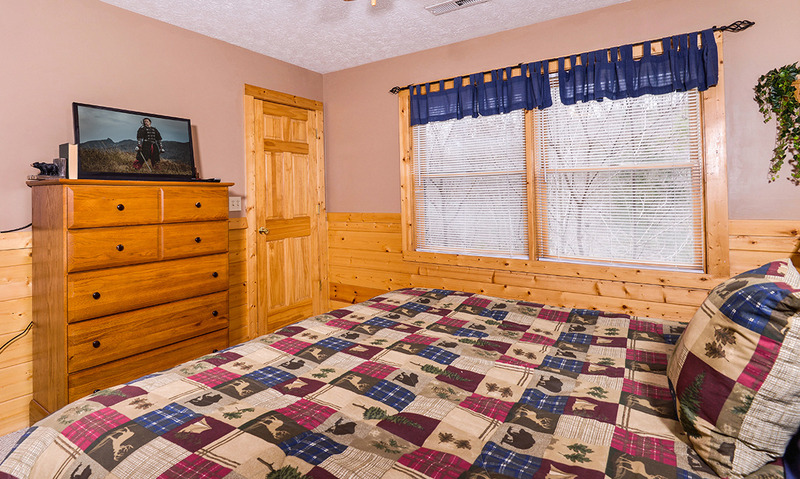 Two queen sleeper sofas in the cabin offer extra sleeping space. 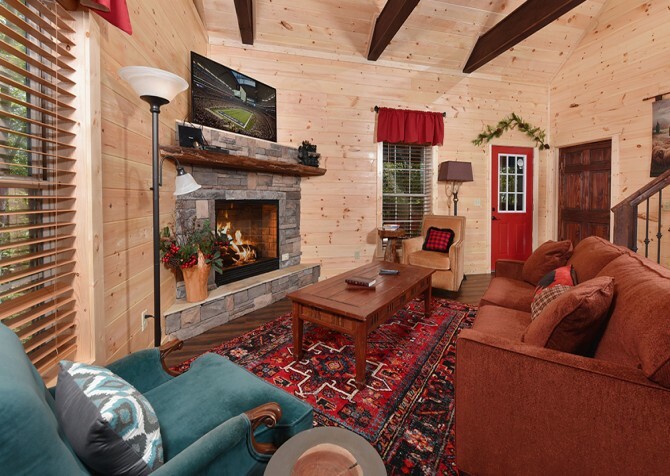 When you're ready to spend time with the whole group, the living room is the perfect place to be. Boasting floor-to-ceiling windows with amazing views, soaring ceilings, comfortable seating, a TV with smart TV apps such as Pandora, Facebook and Netflix (subscription not included), and a crackling gas fireplace, the main living area is truly fantastic. Sit back and enjoy the incredible views, play card games or board games on the coffee table, have a movie night, or watch the morning skies come alive as you enjoy your favorite morning shows. In spring and summer, enjoy the fresh greenery and the blooming wildflowers. In fall, watch the leaves change, and winter, watch the snow fall and icicles form. 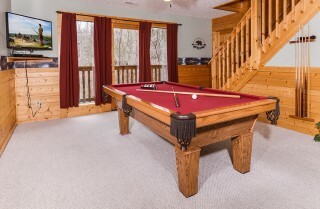 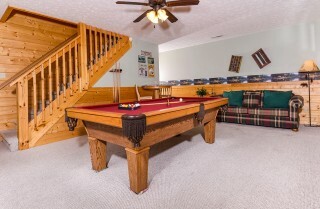 Downstairs in the game room, both kids and adults will love hanging out and challenging each other with a round of pool. A comfy couch is a great place to curl up and watch TV, and a bar-style table adds extra seating for others wanting to hang out. 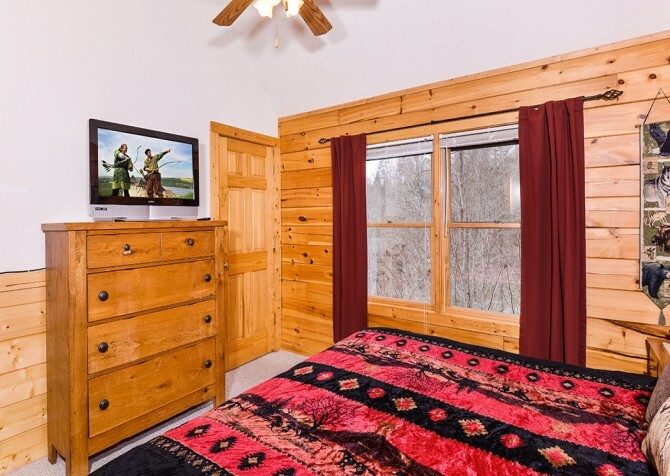 Large windows along one wall let in lots of natural light and offer beautiful wooded views. Stay cool from the summer heat, or keep warm on cold winter nights while playing around in the fun, cozy game room. When you're ready for some snacks or an in-house meal, head into the fully-equipped kitchen. 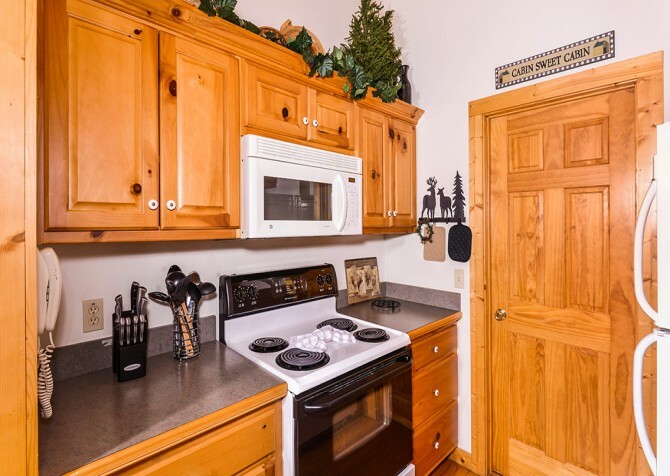 It features white appliances, beautiful wood cabinets, plenty of counter space, and all the tools, dishes, and appliances you'll need to whip up delicious meals in a snap. 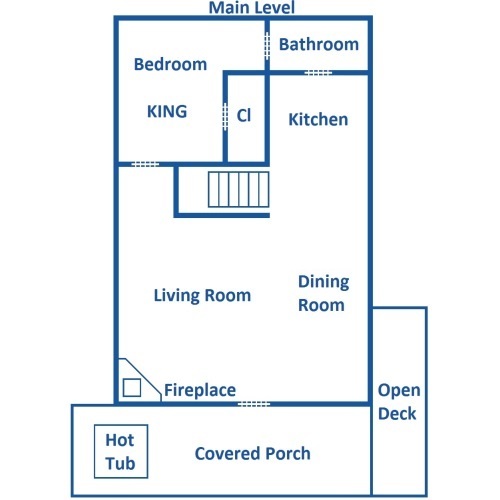 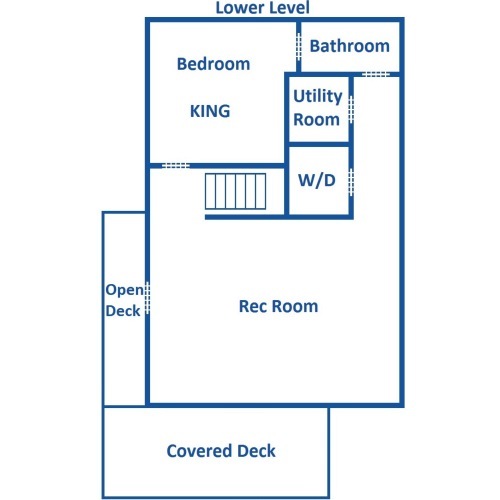 The kitchen is equipped with a refrigerator, microwave, oven, dishwasher, coffee maker, toaster, and much more! Just steps from the kitchen, a dining area has room to seat at least six. 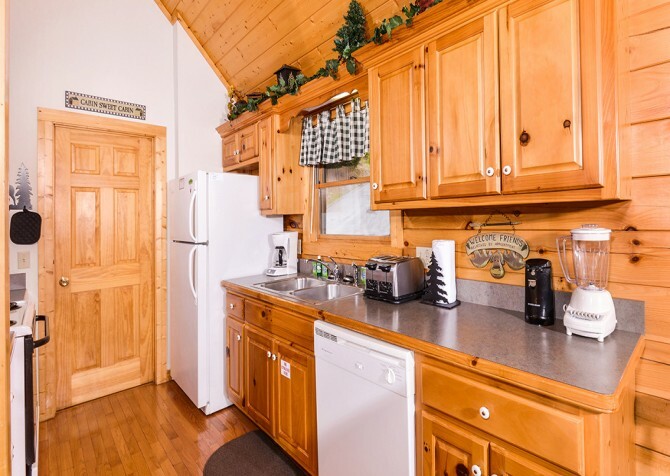 Windows around the table make for a scenic meal, and plenty of space on the table is great for family-style dinners. 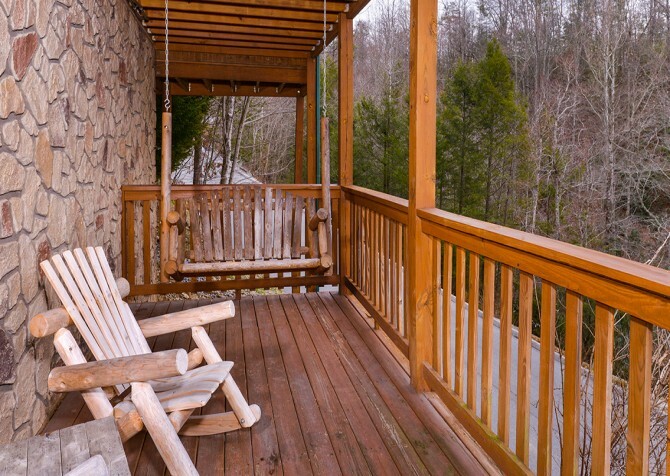 Outside, a beautiful deck is the perfect place to soak in the incredible mountain and wooded views. Two large decks provide a great place to relax and enjoy the sights, sounds, and smells of the Great Smoky Mountains. 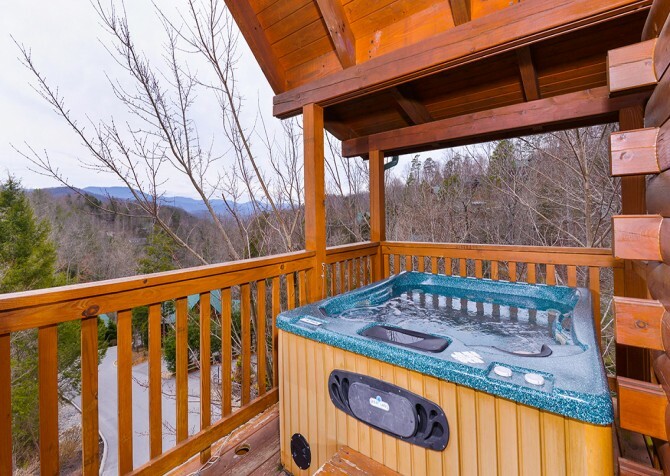 After a long day, unwind with a soak in the hot tub and enjoy the beautiful stars. Other great amenities in Siesta Ridge include high speed internet, premium HD cable with local channels as well as movie channels including HBO, Showtime and Cinemax, a charcoal grill, a porch swing, a washer and dryer, rocking chairs, an iron and ironing board, plenty of parking, access to a swimming pool, and free long distance calls. 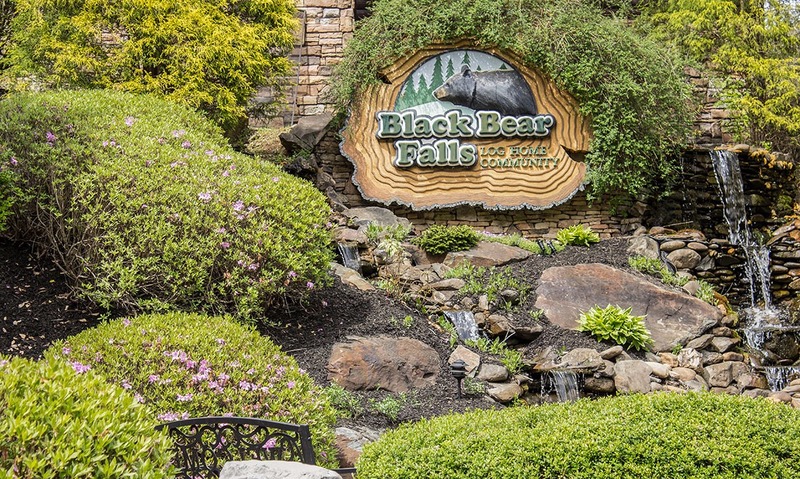 And when you're ready to explore the town, take a very short drive to downtown Gatlinburg or downtown Pigeon Forge. Grab a bite to eat at one of the dozens of great restaurants, get some great deals at Tanger Outlets, catch a dinner show, spend the day at Dollywood, or check out one of the many other attractions nearby. 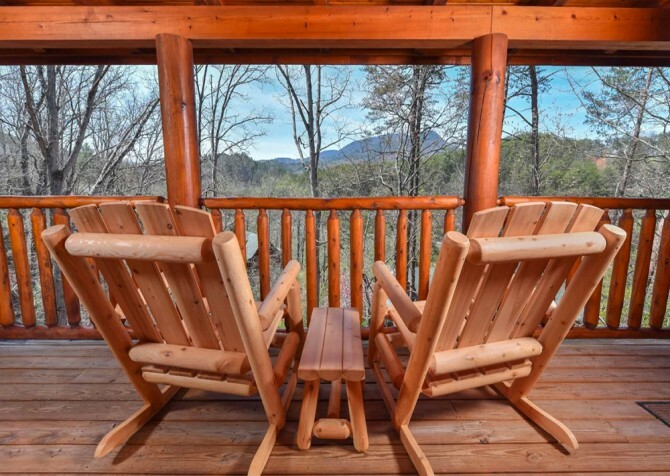 With fabulous views, spacious yet cozy interiors, and plenty of awesome amenities, Siesta Ridge is the perfect mountain escape for romance, fun, and relaxation! 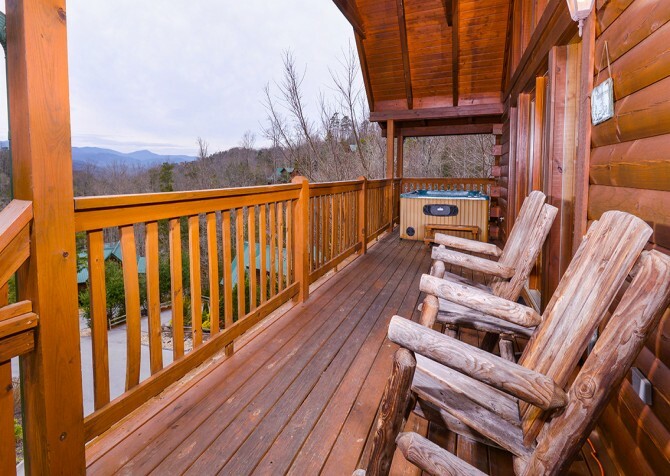 "My family and I stayed with cabins for you at their beautiful Siesta Ridge cabin over spring break 2015. 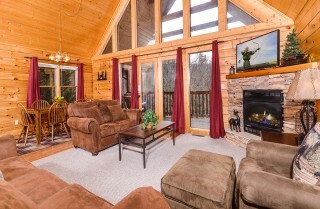 The cabin was all we could have asked for and more. The view was breathtaking and, other than a little rain that didn't affect our schedule, it was perfect. Driving to the many things to see and do was easy. It really felt like a home away from home. I would highly recommend to plan a trip, and stay in one of their beautiful cabins; you won't regret it! My family…"
"My family and I stayed with cabins for you at their beautiful Siesta Ridge cabin over spring break 2015. 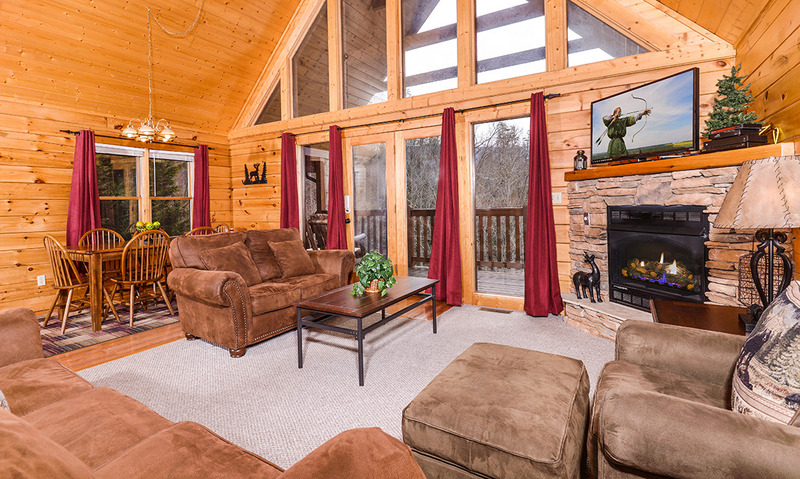 The cabin was all we could have asked for and more. 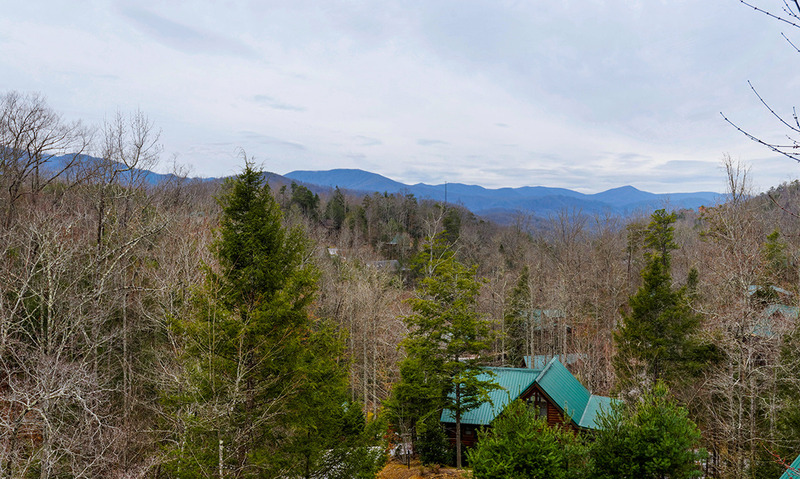 The view was breathtaking and, other than a little rain that didn't affect our schedule, it was perfect. Driving to the many things to see and do was easy. 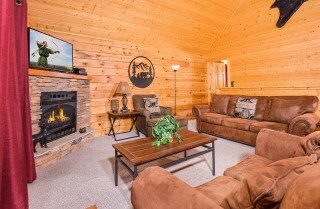 It really felt like a home away from home. 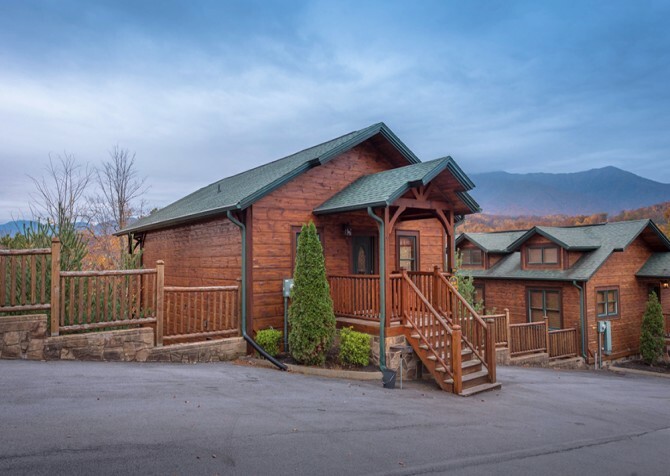 I would highly recommend to plan a trip, and stay in one of their beautiful cabins; you won't regret it! 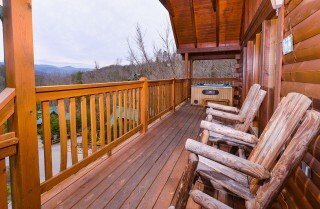 My family and I can't wait to go again!"